I'm wearing a new to me brand today. 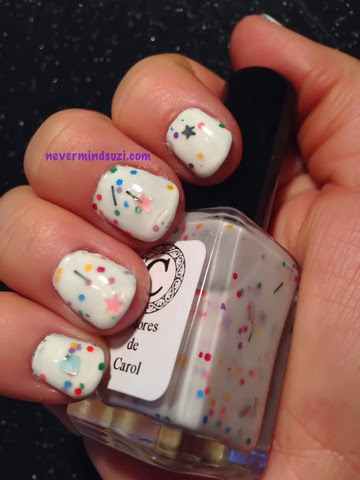 I came across Colores de Carol in a blog comp I believe cuz I always see her gorgeous polishes on Instagram. 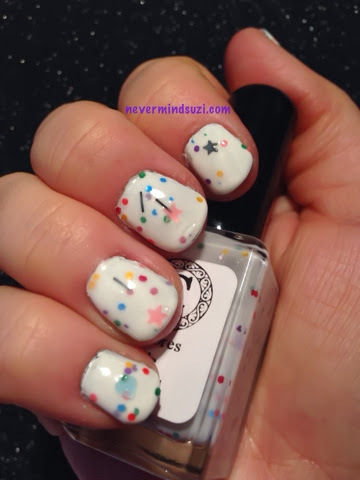 Darling Wildflower is a white polish with a rainbow of glitters, black bar glitters as well as multi-coloured stars and hearts. 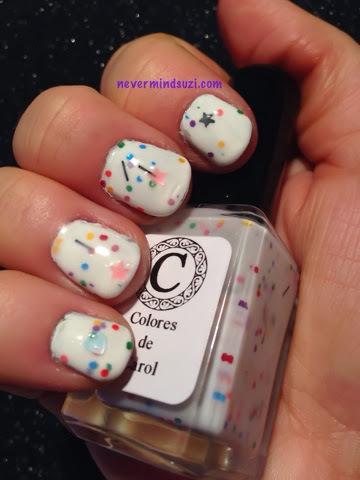 I'm wearing 2 coats over 1 coat of Sinful Colors - Snow Me White. I'm still rocking my poundland falsies, this is day 3 so I admit I'm just painting over the previous mani each time as nail polish remover would just melt them. I think they still look ok. I can see the difference though as they're a fair bit wider than my natural nail bed but I don't think they look obviously false. 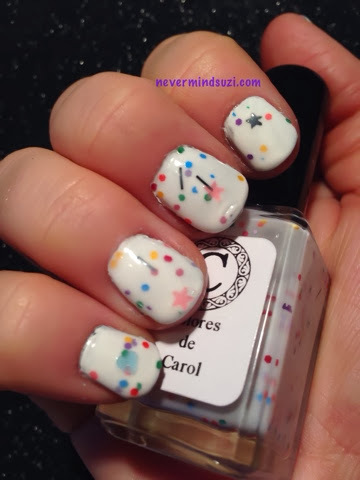 Darling Wildflowers is a pretty polish, it reminds me a bit of Dollish Polish Starlite except with a few added extras.